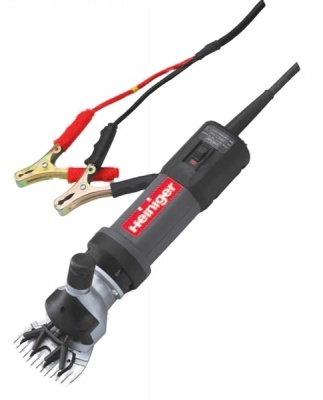 Heiniger was the first to develop the 12v clipper. Working from a standard 12v battery this clipper can truly be used any where that a 12v battery can get to . Running time is 4-5 hours from a 65aH battery. 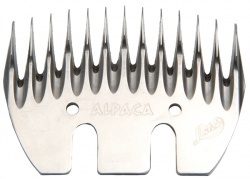 The Clipper is very useful of dagging and crutching plus the shearing of smaller flocks. Additionally this clipper with the sheep head works very well for dirty cattle . The addition of the cattle / horse head with a medium of fine blade allows the same machine to clip horses from a 12 volt battery.